Halloween is only one more day away! Get spooky this season with our candy bar classic variety pack. It’s like grabbing a sweet handful of your favorite, classic treats. You can even find chunks of candy bars blended into the cake! 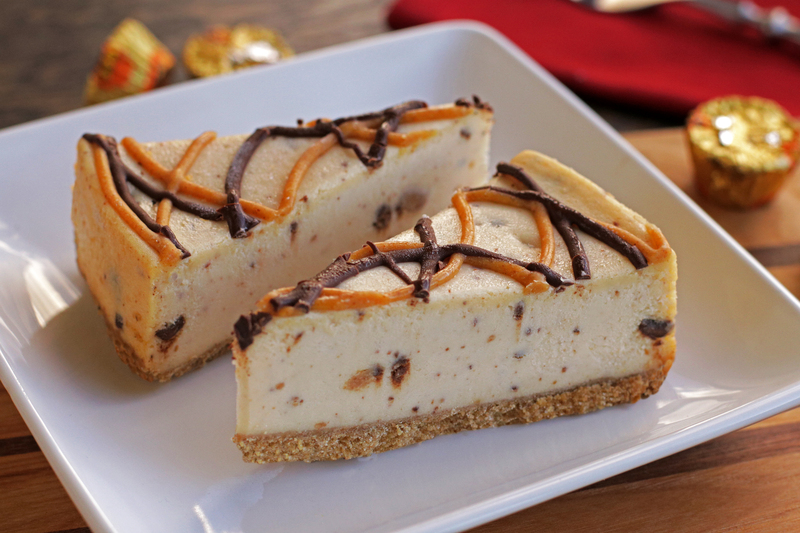 Toffee infused, rich vanilla cheesecake mixed with generous amounts of crushed Heath bar & baked on a buttery graham cracker crust. 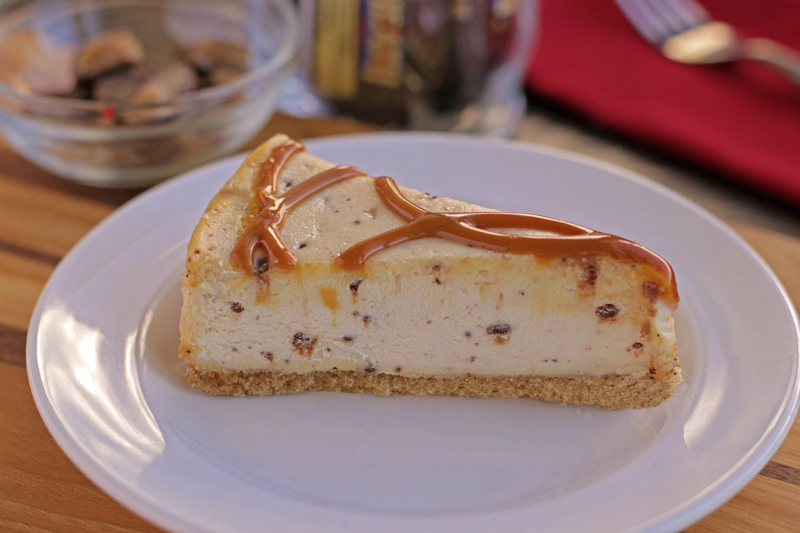 Topped with swirls of Cream City Caramel. 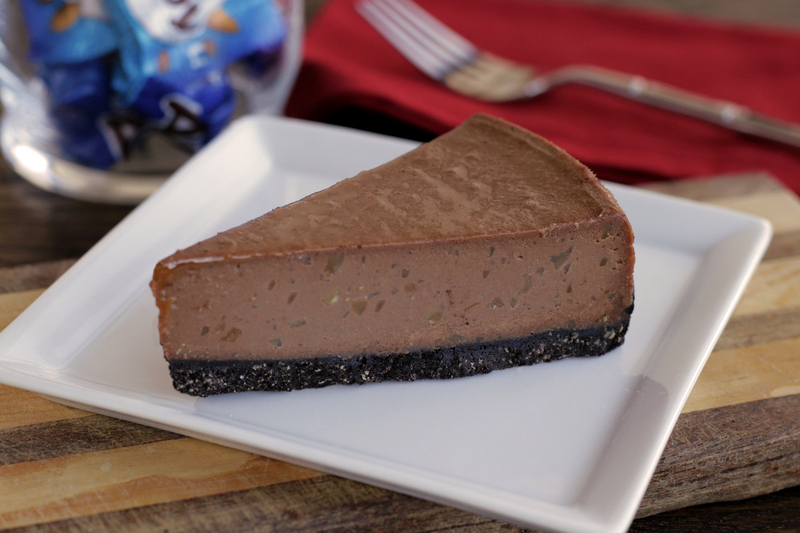 Callebaut chocolate cheesecake blended with crushed salted almonds & baked to perfection on a chocolate cookie crust. Our classic vanilla cheesecake mixed with a ton of crushed Reese’s Peanut Butter Cups, baked on a buttery graham cracker crust. 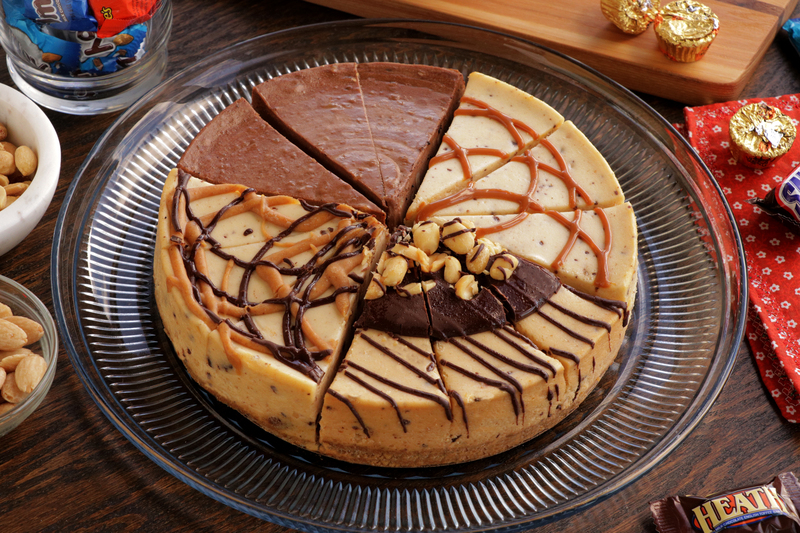 Topped off with sweet swirls of peanut butter & chocolate. Cream City Caramel infused cheesecake blended with plenty of chopped Snicker’s Pieces & baked on a graham cracker crust. 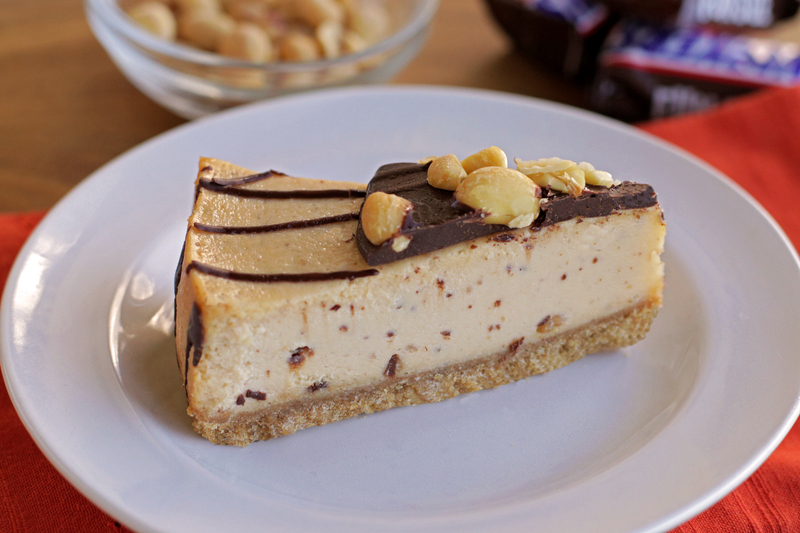 We top it off with roasted salted peanuts & chocolate striping. What’s your favorite candy bar flavor? !